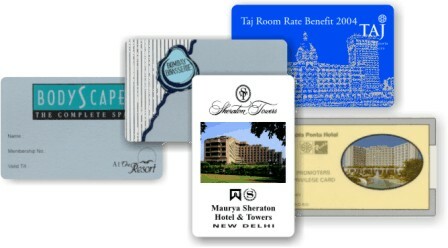 Newline Enterprises is a printed plastic card manufacturer with over 2 decades of experience. Newline Enterprises specializes in affordable small and large-run custom plastic card printing and was founded on the fundamental principle that the image you convey in business says everything about who you are. Every one of our card products is designed to maximize our customers' impact in the marketplace. Our superior design services and proprietary manufacturing method allows customers to order as few as 250 pieces and get the same quality and value enjoyed by other customers that purchase many thousands. We offer discounts on multiple orders, work hard to meet tight production deadlines, and offer an unparalleled combination of good quality at a reasonable price and backed up by prompt and efficient service. A well designed and high quality card allows you to easily differentiate yourself from the competition. Whether you're a company ID card looking to identify yourself, or a loyalty or gift card program or a large corporation seeking to launch a loyalty programme we will provide the perfect solution just for you. Newline was established in 1990 and is located in central Mumbai India. We have invested in the finest European equipments and strive to offer products that are in complete conformance with all the international standards for plastic cards. Our two decade experience means we are one of the most experienced companies engaged in the manufacturer, supply and export of plastic cards located in India. The combination of excellent infrastructure coupled with our experience means that you are in good hands. At Newline we do much more than just making cards. We undertake the full range of services from plastic cards design, manufacture of the plastic card, personalization of cards to ensuring fulfillment and dispatch as well as MIS services. In short we are your partners in ensuring the success of your card issue programme. Best infrastructure ensures you get a consistent high quality product. Excellent combination of high quality at a competitive price backed by prompt service.